SYSTEM is an afterschool program that offers support for students in grades 3 – 8 in Scotland County. We serve 160 plus students each year. We provide transportation, a meal, and snacks for all students. We also provide assistance with homework, Math, and ELA. 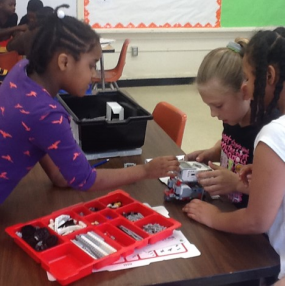 Our students participate in STEM enrichment activities and Character Education. In addition to the above resources, we also support our parents with workshops that focus on parenting skills and community involvement.